Personal empowerment is about taking control over your life. Of course, life is multi-faceted. There could be many areas of your life that you want to improve or feel more control over – for example, your finances, your career, your health and maybe even your love life. 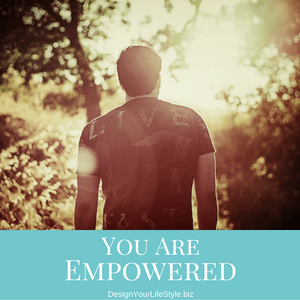 Instead of feeling like a victim or like circumstances control you, you can become empowered. The first step to empowerment is to begin to identify your self–empowerment goals. Your self empowerment goals help you take action and direct your life to where you want it to be. Identifying those goals can feel confusing and overwhelming. Your answers to the following questions will help you define your personal empowerment goals. 1. Where Do You Feel Unhappy? Take a look at your life and start asking questions. Focus on where you feel most happy and where you feel unhappy. Unhappiness may stem from not feeling appreciated, purposeful, or respected. Explore where you feel unhappy and why. You can then set goals to reduce or even eliminate that unhappiness. For example, if you’re unhappy because you never have any energy, you can begin researching the cause of your lack of energy. You can then set a goal to get more sleep, eat better, or you visit a health care practitioner to identify the cause. 2. Where Do You Feel Like a Victim? Whether you feel like a victim of circumstance, your past, or a victim of a person or organization, you can regain control and set empowerment goals to move past this feeling. For example, maybe you feel like a victim of circumstance with your current financial situation. Assess why you feel like a victim and what you can do to turn around the situation. 3. Where Do You Feel Confident? What are your strengths? When do you feel most confident? In what areas of your life do you feel like you’re most in control? Sometimes when you focus more on these areas of your life and strengthen your sense of joy and empowerment, it spills over into other areas of your life. Identifying and defining your self empowerment goals takes some time and deep thought. Give yourself time to think about how you feel about your life and what steps you can take to make your future one that you’re excited about. Grab a notebook and start jotting down goals and ideas for your future. Don’t just stop at the goal that you want to set for yourself; also identify how you’re going to achieve that goal. What steps are you going to take? Identifying your goals is the first step to living a more empowered life.